Once there was a family who took a holiday in Orlando. When they were there, they pulled out their Big Book Of Florida, which held everything they needed to know (and a lot more besides), and they flipped to the page headed Summertime Scavenger Hunt and they started to tick things off the list. 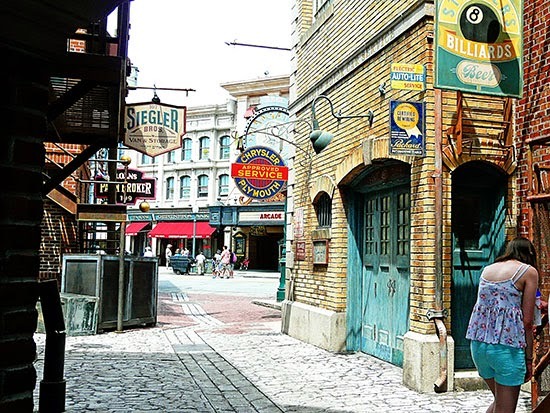 which isn't quite what it seems: it's all a fake, at Universal Studios. The girl in the corner, ticking off the list? Had to keep her in because she coordinates. The next day they were up bright and early for a trip to Animal Kingdom. But it was hot and they weren't really feeling it, until suddenly a flock of parrots appeared above their heads. That little show was enough to persuade them to buy a cold drink and stay in the park and see what else there was to see, which turned out to be a lot.And parrots perched up high? Almost birds on a wire..
With huge thanks again this year to Rinda for organising the hunt and adding an extra dimension to so many summers across the globe. Great finds Sian! Love the parade:) It's great fun looking for scavenger hunt items on holiday isn't it? How fun! You are sure to have the most whimsical lamp post of the group! What totally charming pictures of your vacation. Love that the bird shots includes some wooden ones as well. Just lovely Sian! Loving all the red; it feels so American! The linky's open, so do pop over when you get a chance. Our July holiday has been postponed until October. I was hoping to do as you have done, and tick off a few while I was away. I'm thinking the rest of them are going to be a bit difficult here. Yours are terrific, and I actually love the idea of being photo-bombed by the waterfall! A great place to find fun photos...the lady in the fake street scene is a nice photo bomb. Looks like you had a super vacation! Great finds for the hunt! 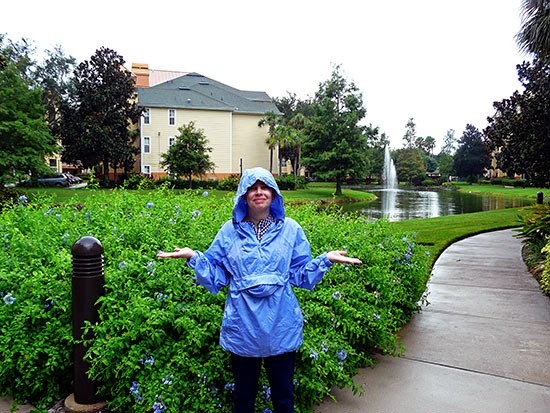 I really like the urban street scen and the Seuss photos, but my favorite is you in the raincoat! I'd normally say a raincoat as well....but rain is proving very elusive in this part of the country this summer....Factor 50 is actually more apt!! Wow you came to the USA! Happy to hear your holiday was great! Great pictures for the challenge. My brother is visiting from Montreal and it turns out that he can juggle so I got my photo! Good luck with getting more photos captured. I'm getting there too. Brilliant - love that you're using the Scavenger Hunt to let us share your holiday! Oh yes - totally bombed by the waterfall - excellent lateral thinking! I'm enjoying all or your Orlando experiences. It reminds me of some of our favorite trips. 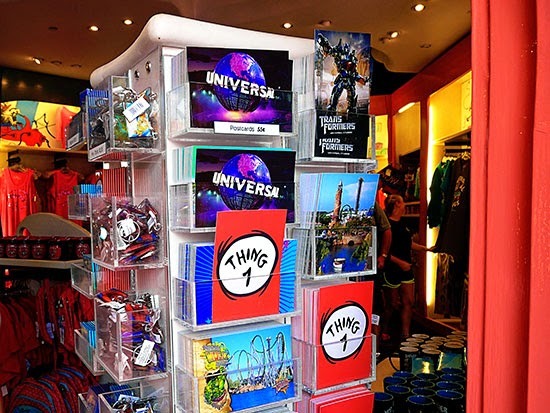 We've never made it to Universal Studios---might have to add it to the list. I love that your family works on the scavenger hunt with you too! What a great set of photos, for the Hunt, Sian. A lovely glimpse into your holiday. The colours are so vibrant. 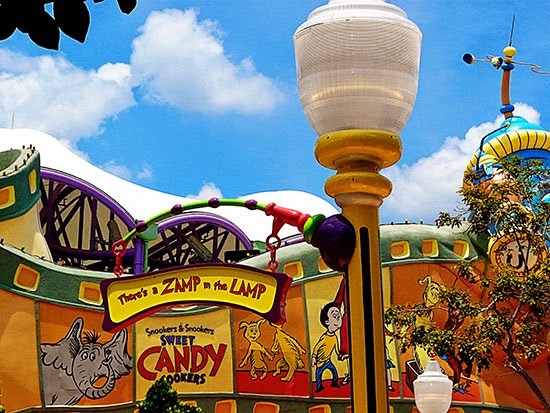 Loving the Seuss lamp post. a perfect place to capture all those photos. The rain made me chuckle! I'm glad someone else brings the list on holiday! I haven't ticked off any yet because I am waiting till we get to the states where we can do it as a family. In my experience, five sets of eyes are better than one! That's a super parade. 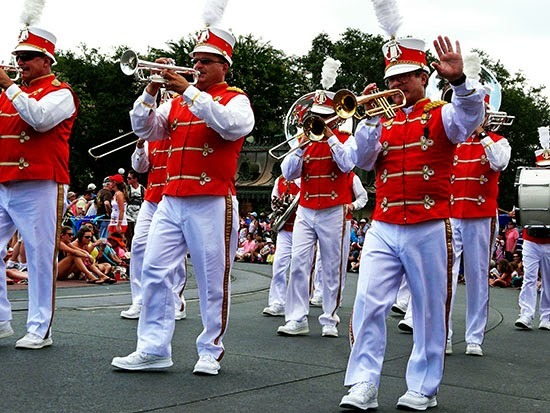 We have hardly any parades here, so it's a very difficult one to find. All great photos...but bombed by a waterfall?....I look forward to another. You have some amazing photos there, I especially love the parrots! 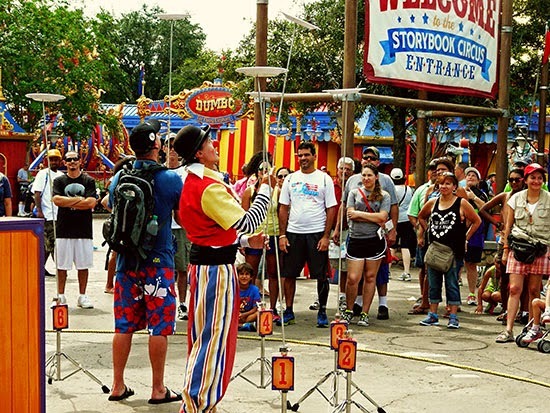 These are some great finds - I like the juggler and the parrots! 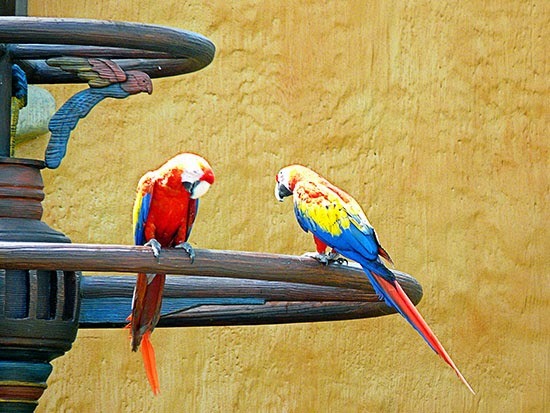 Brilliantly written post, as always, with some amazing finds - love the parrots. Great set of photos from your holiday, I love the one of you being photo bombed by a waterfall! love the urban street scene...even if it is "Hollywood"! and the girl in the corner is your photobomb too! Great catches Sian. I love that urban street scene and you can always count on Disney for there to be a parade! Your photobombing waterfall made me laugh :) Glad you all had fun.